Discussion in 'Realestate in Amaravati' started by satish, Nov 3, 2018. 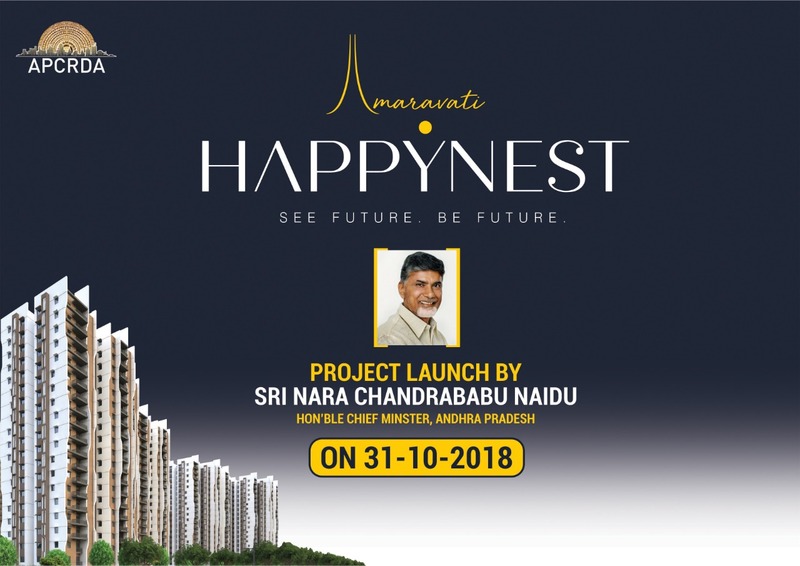 Amaravati: Chief Minister N Chandrababu Naidu released the brochure and logo of first housing project in Amaravati, Happy Nest--with a tagline of 'See Future--Be Future' at the Secretariat here on Wednesday. The Capital Region Development Authority (CRDA), officials said that the web portal of the project will be open for public from November 9 for online applications. 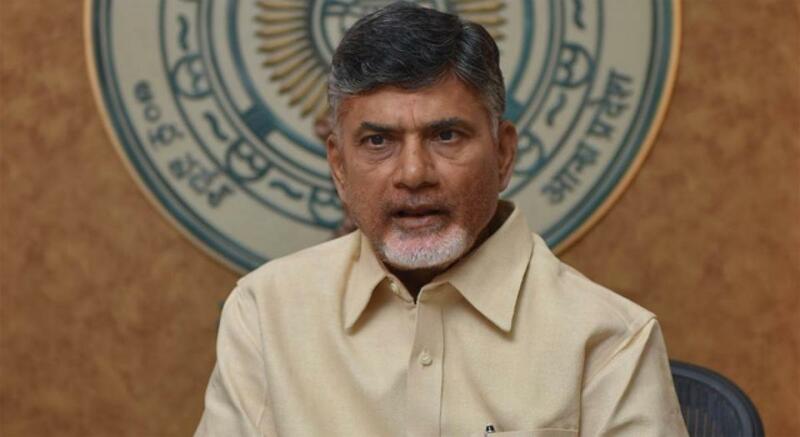 Reviewing the progress of projects in Amaravati capital region, the Chief Minister said the Happy Nest project should reach the expectations of people with world class standards.The CRDA proposed to develop the Happy Nest project in 14.46 acres with 12 G+18 towers with 1200 flats each. The Chief Minister reviewed the progress of housing projects and seed access roads.The Chief Minister expressed ire over the tardy progress of other infrastructure works in capital region. He said futuristic visualisation is important and the officials should concentrate on time-bound projects. He instructed the officials to concentrate on how to promote futuristic city. He said that he wants clarity at micro level and will be monitoring the work progress in real time.The officials informed the Chief Minister that the seed access road works were completed up to a stretch of 14 km and they must complete the balance 7 km stretch, which was delayed due to land acquisition. The Chief Minister warned the service providers to complete the works as per schedule. He warned the contractors to complete the projects as per schedule and noted that development must be seen by the end of December. Note : Please note that the booking of the unit is made on 'First Come and First Serve' basis only. 2.The units booked are treated as provisional allotments, until the agreement to sale is executed within 30 days from the payment of booking amount. 3.The customer with provisional allotment, shall visit the APCRDA HappyNest Corporate office in APCRDA, Lenin Center, Vijayawada, to conclude the agreement of sale, with all necessary documents as mentioned by the Happynest CRM. 4.The Agreement to sale for NRIs is executed offline, with the help of power of Attorney. Our dedicated CRM team shall guide you on the same. 5.Booking amount charged is adjusted against 10% of 'Builder-Buyer Agreement' or ‘Agreement-to-Sale’. The customers shall be intimiated about remaining amount to be paid for agreement to Sale/Builder-Buyer Agreement after deducting respective booking amount paid earlier. 6. Corpus fund collected from customers at the time of hand over is deposited to Resident Welfare Association, once it is formed, within 24 months from the date of possession. 7. "Please consult your banker to increase the limits of net banking transactions if necessary"
8. Payments from NRI's are currently accepted in Indian Rupees Only. NRI's can make the payment through their Non Resident Ordinary(NRO) account only. 9. Allottee shall have the right to cancel/withdraw his/her allotment, provided that where the allottee proposes to cancel/withdraw from the project without any fault of APCRDA, APCRDA is entitled to forfeit the full booking amount paid for the allotment. He explained that while the estimated time of construction was three years, the flats could be handed over between 24 to 30 months. VIJAYAWADA: With the Andhra Pradesh Capital Region Development Authority (APCRDA) announcing that the HappyNest project would be completed in around three years, one of the major concerns among the prospective buyers is the associated political risks due to impending polls, which may result in change of the government. This was evident when one of the participants, during the awareness meeting organised by the authority on Thursday, asked the officials as to what would happen to the investments if there was to be a change in the political scenario in the State after the upcoming polls. Project Manager Venkata Ramana explained that the HappyNest project was approved by the Centre’s Real Estate (Regulatory and Development) Act and by the Andhra Pradesh Real Estate Regulatory Authority. “We will be liable if there were to be any violations. If there is any delay in handing over the flats as promised, we will be liable to pay interest on your investments,” he said. He explained that while the estimated time of construction was three years, the flats could be handed over between 24 to 30 months.Meanwhile, the authority has arranged 20 help desks to assist the public, especially senior citizens, while making a booking.“The help desks will be available at the APCRDA office in Lenin Centre. The flats will be allotted on first come, first served basis,” the officials said. Almost all Happy Nest housing flats of AP CRDA sold out within first half an hour, according to the authorities. The CRDA opened online sale of flats on Friday morning sharply at 9 am, which had 75000 hits out of 300 flats within first 10 mts. The CRDA will further put another 300 flats for sale, since the first phase of houses got huge response. The CRDA officials explained that as they made easy the process of purchasing house thorough online, the public took the advantage of technology and paid money through the online on the spot. Aadhar Card Number handy while proceeding for the booking. 2018, comprising of 300 units. For more details please visit here. 6. The booking shall be confirmed only after the payment is received from the customer. You may choose the size of unit, which you intend to purchase the apartment.